Sports marketing professional and co-founder plus CEO of Globatalent, Sunil Bhardwaj, leads a team of expert individuals dedicated to giving talented sports men and women a fairer route into their professional careers, without financial burden. Globatalent is a decentralised blockchain-based tool where clubs and players can fund themselves by selling their future revenue rights to fans and investors. Sunil Bhardwaj, aged 41, graduated in 1999 with a diploma in sports management from the University of Greenwich, London and has since enjoyed an accomplished 18-year career in the sports industry. He has worked in many territories including Germany, Holland as well as his native Spain. 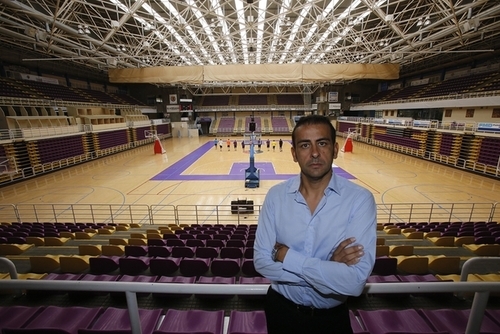 Working as president, general manager and chief marketing officer within a number of high-profile basketball clubs including CB Valladolid and Menorca Bàsquet, Sunil Bhardwaj gained invaluable experience across marketing, public relations, finance and talent acquisition. Sunil Bhardwaj has also worked for the worldwide television broadcaster Mediapro limited, where he managed strategy consulting, sponsorship, sporting events and sports marketing for the Balearic region of Spain. As well as developing sports and wellness centres, Sunil Bhardwaj’s knowledge has stretched to the luxury market, with the making and development of one of the world’s finest gourmet virgin olive oils. In addition, he founded a boutique Hotel in Majorca which receives consistently high reviews. Through an extensive knowledge of financial exclusion within sport, Sunil Bhardwaj has developed a passion to disrupt and revolutionise financial fair play within the industry. As a result, the team at Globatalent are giving players, fans and clubs the opportunity to decentralize and transform the sporting industry, both financially and on the field of play. If you would like to interview Sunil Bhardwaj, please do not hesitate to get in touch. For further information, please contact Dom Hogan, dom@famouspublicity.com, George Murdoch, george@famouspublicity.com or Tina Fotherby, tina@famouspublicity.com or call or call +44 (0)333 344 2341.